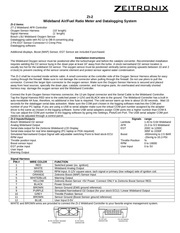 Ce document au format PDF 1.4 a été généré par Windows NT 4.0 / GNU Ghostscript 7.05, et a été envoyé sur fichier-pdf.fr le 16/08/2009 à 12:42, depuis l'adresse IP 77.194.x.x. La présente page de téléchargement du fichier a été vue 3485 fois. Taille du document: 307 Ko (38 pages). replacing transaxle as an assembly. transaxle model, year of manufacture and transaxle part number. pistons, valve body and 4 electronic valve body solenoids. determine transaxle shift points and torque converter lock-up. transaxle oil temperature sensor, brake switch and kickdown switch. used for normal, high performance and winter driving conditions. Transaxle is also equipped with a shift lock and key interlock system. vehicle speed, TCM can determine amount of torque converter slippage. indicating transaxle manual valve gear position. long. Adjust cable as necessary. sends input signal to TCM when accelerator pedal is fully depressed. controlling transaxle shifting and torque converter lock-up. upshifts combined with lock-up as often as possible for top 3 gears. TCM selects shift and lock-up points for best possible performance. WINTER mode prevents wheel spin on slippery surfaces. driver wants to control gear selection. in (I) or (II) position. brake switch and kickdown switch. can be retrieved to determine transaxle problem area. devices controlled by signals received from the TCM. The No. 1 and No. control transaxle line pressure. For solenoid locations, See Fig. 2.
solenoid is used to control torque converter lock-up. No. 4 solenoid is used to control line pressure. idle speed RPM and adjust as necessary. Manufacturer recommends transaxle assembly replacement only. excessive increase in engine RPM exists, lock-up did not occur. temperature exceeds 239 F (115 C). pawl prevents vehicle from moving. shifted from &quot;N&quot; to &quot;D&quot; position. transaxle line pressure. See HYDRAULIC PRESSURE TEST. (3) - Lock-up occurs in 4th gear only. driver. Apply parking brake and block all 4 wheels. CAUTION: DO NOT maintain stall speed RPM for more than 5 seconds. speed specifications, see STALL SPEED SPECIFICATIONS table. 1) Ensure transaxle is at normal operating temperature. Connect pressure gauge to line pressure test port. See Fig. 4. 3) Apply service brake and shift transaxle into &quot;D&quot; position. engine to stall speed and record line pressure reading. found, manufacturer recommends replacing transaxle as an assembly. on opposite sides of assembly. 1) Remove control valve assembly. See CONTROL VALVE ASSEMBLY. springs. Note location and direction of all components during removal. workbench exactly as removed from control valve assembly. 3) Clean all components in solvent. Dry with compressed air. location. Tighten cover plate bolts to 62 INCH lbs. (7 N.m). (1) - Not applicable to outer spring attached to piston. installation reference. Remove control valve assembly. installed in correct locations. Tighten bolts to 89 INCH lbs. (10 N.
install pan. Tighten oil pan Torx screws to 18 ft. lbs. (25 N.m). cleaner assembly. Disconnect transaxle cable from shift rod arm. notch on sensor is located in exact position as prior to removal. Tighten 2 sensor bolts to 18 ft. lbs (25 N.m). Ensure throttle and kickdown cables are properly adjusted. Ensure battery is fully charged. 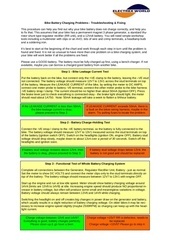 Repair diagnostic trouble codes in order displayed. system components and perform several tests on transaxle. memory in the form of Diagnostic Trouble Codes (DTCs). output OBD-II DTCs, and not entire range of DTCs. See Figs. 5 and 6.
button and function select cable. See Fig. 5.
see DIAGNOSTIC UNIT LED DOES NOT FLASH. terminal No. 2 and ground. Approximately 5 volts should be present. Check for voltage at diagnostic connector terminal No. 6 and ground. specified, check wiring and repair as necessary. circuit resistance without influence from other systems. located in right front engine compartment. See Fig. 3. Remove TCM. thread through slot next to TCM. bottom of TCM box. Connect measuring unit to adapter 60-pin connector. hold for more than 5 seconds. Wait for LED response. coolant recovery reservoir and washer fluid reservoir. See Fig. 3.
console in front of gear shift lever. See Fig. 6.
diagnostic unit with ignition on. See Fig. 5. System has 6 test modes. operates components in a certain order. speed must be reset when transaxle has been replaced. Manufacturer recommends use of scan tool when test modes No. codes can be easily distinguished. time if necessary. If first code repeats, no other codes are present. more than 5 seconds. Wait for LED response. 1) Sensors and switches are activated by diagnostic unit. will flash a code indicating receipt of a signal from components. component as described in RESPONSE CODE IDENTIFICATION table. Diagnostic unit LED should display appropriate response code. be tested individually if necessary. component, check wire circuit and repair as possible. Warning Indicator Light In Instrument Panel Flashes. Fault Indication Signal (OBD-II) Malfunction Indicator Light. Torque Limiting Signal TC2 When Engine Idling. Torque Limiting Signal TC1 When Engine Idling. operation when a specific code is input into diagnostic unit. table. One digit is entered each time diagnostic unit LED is lit. testing components, system automatically exits test mode No. 4. (1) - Engine idle speed will change during activation. out, but DTC will remain. (2) - Only for as long at oil temperature remains high. (3) - If DTC is present, mechanical malfunction has occurred. Manufacturer recommends replacing transaxle assembly. between brake switch terminals No. 1 (Red wire) and 2 (Yellow wire). as specified, replace brake switch. switch from center bracket. Disconnect switch connector from switch. moved to any other position, zero ohms should exist. (Brown/Gray wire) and 5 (Light Blue wire) when switch is in ECON mode. 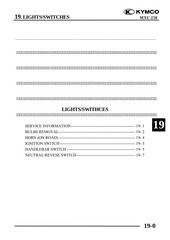 specified, replace mode selector switch. resistance is not as specified, go to next step. DVOM leads to 26-pin connector terminals No. 12 and 13. See Fig. 9.
sensor terminals) as transaxle fluid temperature gradually increases. specified, replace oil temperature sensor. is not as specified, go to next step. not as specified, replace sensor. is not as specified, replace sensor. terminal No. 20 and a good known ground. Voltage should be less than . voltage is not as specified, check for poor ground connection. between zero and 5 volts at each pair of terminals. &quot; N&quot; position. Turn ignition on. consistently high or low, check wiring for an open or short circuit. If no fault is found, replace TCM. terminal No. 6 and TCM connector &quot;B&quot; terminal No. 18. See Fig. 10.
cause interference, such as ignition wiring, mobile phone, etc. be10-15 ohms for No. 1, No. 2 and torque converter lock-up solenoids. If resistance is not as specified, replace solenoid. not as specified, replace solenoid. wire connector and appropriate terminal at transaxle 26-pin connector. (1) - For terminal locations, See Fig. 9. (2) - Terminals No. 8 and 26 are blank. (1) - For terminal locations, See Fig. 10. (2) - Terminals not listed are blank. 1) Turn ignition on. Set gearshift lever to &quot;P&quot; position. 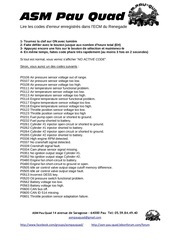 Check solenoid function by using test mode No. 4 or Volvo scan tool. See TEST MODE NO. 4.
ohmmeter does not read zero ohms, check grounds for an open circuit. grounds for an open circuit. TCM terminal A30 and fuse No. 11-1. Repair as necessary. 6) Ensure ignition is off. Disconnect measuring unit. speed greater than 15 MPH. If DTC resets, replace TCM. necessary. If Black ground wire is okay, go to next step. check Green/Orange wire for a short circuit to voltage. 6) Turn ignition off. Switch selector to position &quot;S&quot;. because of poor terminal contact in mode selector connector. ohmmeter does not read about 10-15 ohms, replace solenoid. reads about 10-15 ohms, repair poor terminal contact at TCM connector. If ohmmeter does not read about 10-15 ohms, go to next step. 3) Remove air cleaner housing to access transaxle connector. terminal No. 27. If ohmmeter reads about zero ohms, go to next step. connector. If ohmmeter does not read 10-15 ohms, go to next step. operate, go to next step. 2-6 ohms, go to next step. ohms, go to next step. ohmmeter does not read about 2-6 ohms, replace TCM. driving mode selector to see if there are loose parts in the switch. circuit to ground in Brown/Green wire. supply is okay, go to next step. necessary. Check for open circuit in TCM voltage supply or grounds. voltage/ground circuits are okay, replace TCM. RPM is greater than about 600 RPM, DTC 134 will set. okay, replace TCM. If load signal is not okay, replace ECM. 2) Ensure ignition is off. Disconnect transaxle connector. specification, replace oil temperature sensor. is okay, go to next step. ohmmeter does not read about zero ohms, go to next step. necessary. Connect ohmmeter between transaxle connector terminal No. check Blue/Black wire for an open circuit. SHORT CIRCUIT IN OIL TEMPERATURE SENSOR CIRCUIT. reads about 5 volts, DTC set because of poor contact in TCM connector. 2) If voltage is less than .10 volt, check kickdown switch. grounds and wiring for poor terminal contact. Repair as necessary. voltage supply to TCM. If voltage supply to TCM is okay, replace TCM. check Brown/White wire for a short circuit to voltage. ground and power ground. See DTC 113: TCM FAULT. Repair as necessary. between transaxle connector terminal No. 22 (Violet wire) and ground. reads 10-15 ohms, check for short circuit to ground in Violet wire. and power ground are okay, go to next step. 2) Ensure ignition is off. Disconnect TCM and ECM modules. 3) Connect ohmmeter between TCM measuring unit terminals No. between TCM and ECM for a short circuit to ground. 4) Ensure ignition is off. Connect measuring unit to TCM. such as electric motors, spark plug wires, and mobile telephone wires. 2) Ensure ignition is off. Connect measuring unit to TCM. not read 4-7 volts, replace speedometer. okay, ensure all grounds are clean and tight. Repair as necessary. TEMPERATURE SENSOR CIRCUIT. If DTC 141 is not stored, go to next step. 2) Remove air cleaner housing to access transaxle connector. wire for a short circuit to ground. 3) Ensure ignition is off. Disconnect transaxle connector. respective ECM connector terminal B2, B3, and B4. check for open circuit in Yellow/Red, Yellow/Violet, or Violet wire. (turbo), check for short to voltage in Yellow/Violet wire. (TC1) operation using scan tool or test mode No. 4. See TEST MODE NO. activated, go to next step. If voltage does not drop, replace TCM. (TC2) operation using scan tool or test mode No. 4. See TEST MODE NO. or open circuits in wiring. If voltage does not drop, replace ECM. 1) Ensure ignition is off. Connect measuring unit to TCM. is not 300-600 ohms, go to next step. terminals No. 16 (Yellow/White wire) and No. 17 (Yellow/Brown wire). 311: RPM SIGNAL MISSING. If DTC 311 is not present, go to next step. interference, such as electric motors or spark plugs. complete installation, reverse removal procedure. ohms, check gear shift position sensor ground. Repair as necessary. and note reading. Connect measuring unit to TCM. Turn ignition on. between gear position sensor and TCM, then go to step 8). terminal contact. If voltage readings are not okay, go to next step. 6) Ensure ignition is off. Disconnect transaxle connector. transaxle connector and TCM. Repair as necessary. ground in wire between transaxle connector and TCM. 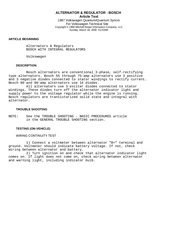 flash note any unusual symptoms in transmission operation or function. is not reset, repair or replace transmission as necessary. fluctuations, go to next step. such as electric motors or spark plugs. contact in transaxle connector. If ohmmeter does not read about 300600 ohms, replace RPM sensor. 48. Shift transmission to &quot;D&quot; so front wheels begin to rotate. constant, go to next step. 10-15 ohms, check transaxle connector for poor terminal contact. 9) Ensure ignition is off. Reconnect TCM. Turn ignition on. does not remain constant, go to next step. 10) Turn ignition off. Check gear position sensor adjustment. INCORRECT. If adjustment is okay, replace gear position sensor. malfunction and DTC 323 is reset, replace transmission. 20. If ohmmeter reads 10-15 ohms, transmission is probably okay. not read 10-15 ohms, check TCM connector for poor terminal contact. connector terminal A9. Repair as necessary. read 10-15 ohms, go to next step. between transaxle connector terminal No. 23 and TCM terminal A9. terminal contact at transaxle connector. Repair as necessary. terminal No. 23 and TCM connector terminal A9. (1) - Tighten an additional 120 degrees. (2) - Tighten an additional 60 degrees. (3) - Tighten an additional 90 degrees. Ce fichier a été mis en ligne par un utilisateur du site. Identifiant unique du document: 00008824.